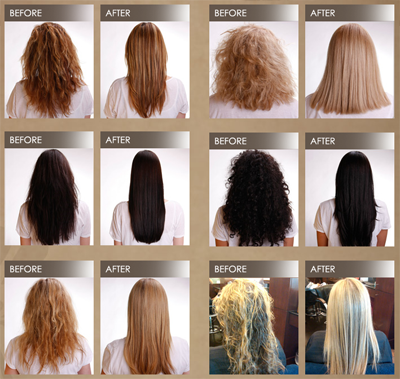 They are the ONLY Professional Smoothing Treatment that actually improves the health of the hair ... No Damage! Entire in-salon treatment is completed in just 90 minutes! No down time! The minute you leave the salon, you can wash and air dry your hair, and it will be smooth, frizz-free and radiant! Results last up to 12 weeks. 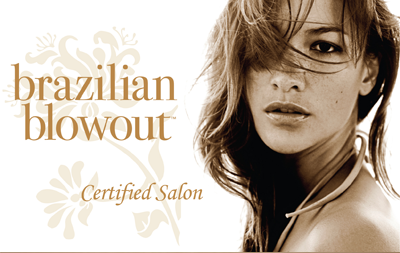 A Brazilian Blowout will leave your hair smooth, shiny, and frizz-free! If you'd like to see transformations done by our talented hair stylists, visit our Before & After page or check out our Facebook page and remember to like us!